Is your project located on Land or Water? The Fisheries Act requires that projects avoid causing serious harm to fish unless authorized by the Minister of Fisheries and Oceans Canada. This applies to work being conducted in or near water bodies that support fish that are part of or that support a commercial, recreational or First Nation’s fishery. If your project activities are listed below and they meet the associated criteria (if applicable), your project does not require DFO review. However, you are still required to avoid causing serious harm to fish by following best practices such as those described in the measures to avoid harm. Please review the following photos and select the habitat type that best represents your proposed building site. 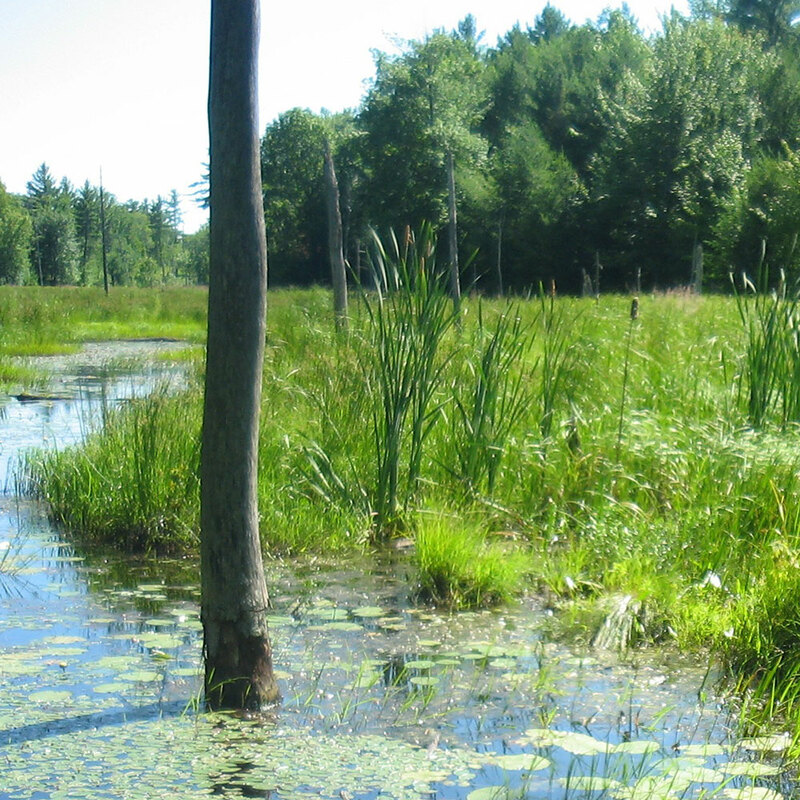 Wetlands are land types that are commonly referred to as swamps, fens, mires, marshes, bogs, sloughs and peatlands. They occur intermittently across the landscape along lakes, rivers and streams, and in other areas where the water table is close to the surface. They vary in size from a fraction of a hectare to many thousands of hectares. As areas where land and water come together, wetlands provide unique and specialized habitat for a great variety of species that can live nowhere else. 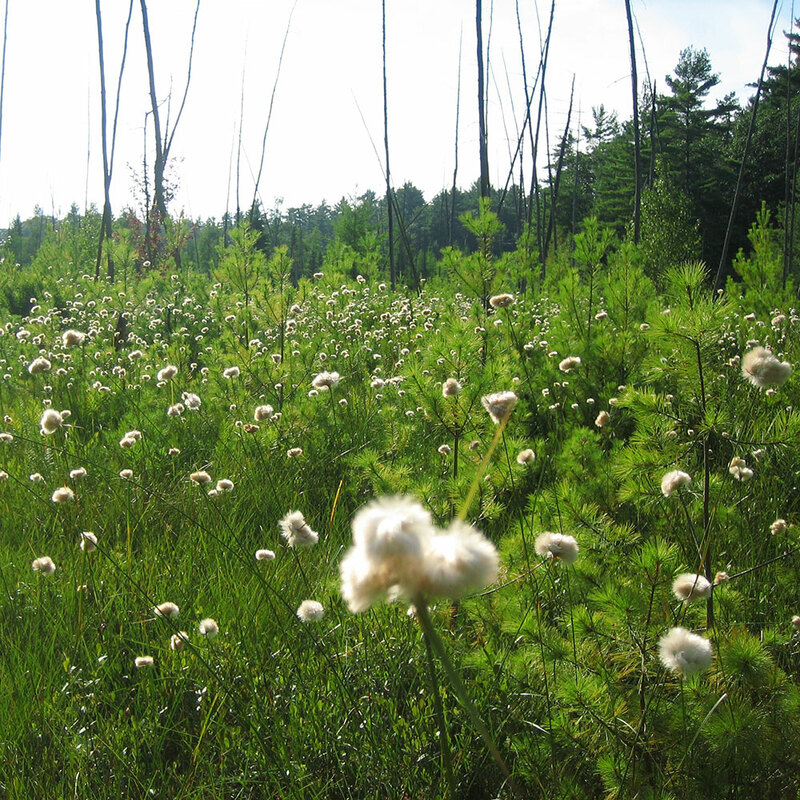 In the Georgian Bay Biosphere Reserve, many species at risk rely on wetlands. Some species like the Whip-poor-will may forage over wetlands, while other species like the Spotted Turtle spend most of their life in a wetland. If your project is located within or immediately adjacent to a wetland, do not proceed. 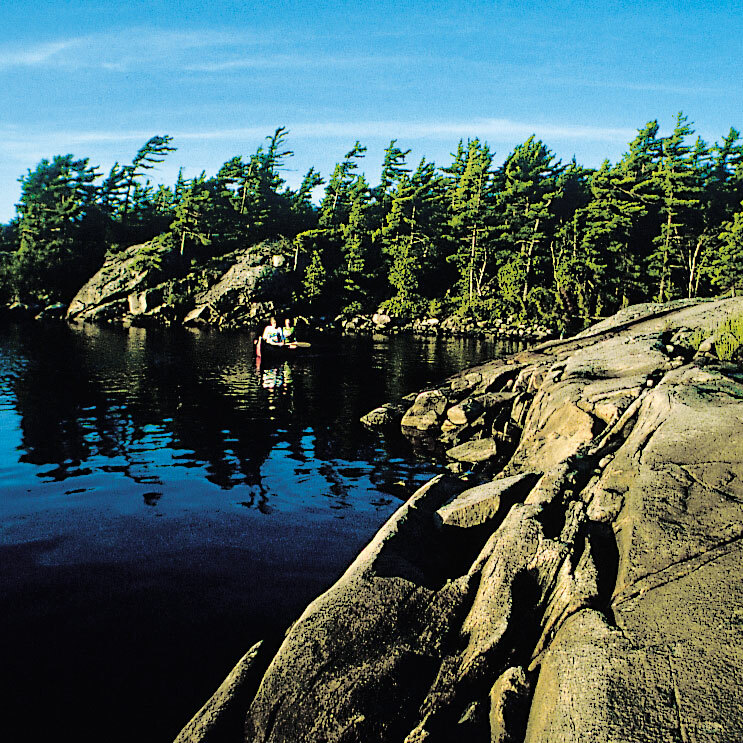 Please contact the Parry Sound MNRF office (705-746-4201) to discuss your proposed project. If your activity is unlikely to damage or destroy the habitat of endangered and/or threatened species it will be allowed to proceed without modifications. An authorization permit from MNR would be required if your project presents a risk to species at risk habitat. To mitigate impacts, the authorization permit may require the construction activity to take place within a defined timing period or require modifications to the building footprint. Shorelines along eastern Georgian Bay are variable but generally consist of expanses of exposed bedrock with limited soil and irregularly scattered trees, shrubs and flowering plants. Shorelines are often thought of as the perfect building location, since they are located close to water (offering great views!) 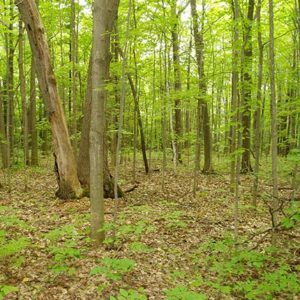 and construction is thought to minimize impacts to forests and vegetation. However, building footprints on shorelines need to be carefully selected, since many species at risk use shorelines for important life stages. For example, over 90% of Eastern Foxsnakes sightings are within 1 km of Georgian Bay and this snake typically uses fractures in the bedrock within 100 m of the Bay for hibernation sites. Don’t forget to check with your local Township to determine set back distances from the water. Also, if part of your project is on water/aquatic habitat, such as a dock, please redo this screening tool selecting the “WATER” option to learn about pre-approved projects and best practices. Since the objective of the screening tool is to avoid impacting species at risk habitat, we’re going to show you habitat features to avoid along shorelines. Leaving these habitat features alone will likely avoid harm to species at risk habitat. Sloped, fractured bedrock within 100 metres of Georgian Bay. Table rock – roughly 30 cm thick by 1 x 1.5 m wide. As shown in the picture, this table rock usually has other rocks adjacent to it and a hole/cavity underneath. Also, the table rock is typically exposed to direct sunlight and has grasses or shrubs on several sides. Depressions in the rock surface that support sphagnum moss and several trees, such as White Pine or Red Oak. These areas are damp in both spring and fall. Sections of the Severn River within 5 meters of shoreline where water depths are greater than 5 meters or turbulent and heavily shaded. Construction workers should be provided with the list of species at risk that may be found on the property. Determine what species at risk may be found in your area. If species are encountered during the construction phase, they should be protected from harm and the sighting reported to the Georgian Bay Biosphere Reserve. In particular, turtles may be attracted to areas of new fill to lay eggs (typically in June). If a nesting turtle is encountered, the area must be marked and protected with a 5 metre buffer. For further information on how to mark and protect the turtle nest, or if maintaining a 5 meter buffer around the nest for the duration on the incubation period will hinder construction, please contact the Parry Sound MNRF office (705-746-4201). Vegetation removal and disturbance outside of the building envelope should be minimized. With regard to the Migratory Birds Convention Act 1994, clearing of vegetation should be completed outside of the nesting period of May 15 to July 31. Good site management practices can mitigate the impacts of runoff associated with construction. This could include protecting nearby water bodies/streams from siltation during the construction phase. A safety advisory regarding the use of silt cloth in areas with large bodied snakes is available. In Georgian Bay, rock crevices are commonly used by Eastern Foxsnakes as oviposition sites (i.e. egg laying sites). Foxsnakes lay their eggs in early July and they typically hatch by early September. These rock crevices often contain small pockets of soil and therefore may also attract nesting turtles. If eggs are discovered, the area must be marked and protected with a 5 metre buffer. For further information on how to mark and protect the nest, please contact the Parry Sound MNRF office (705-746-4201). 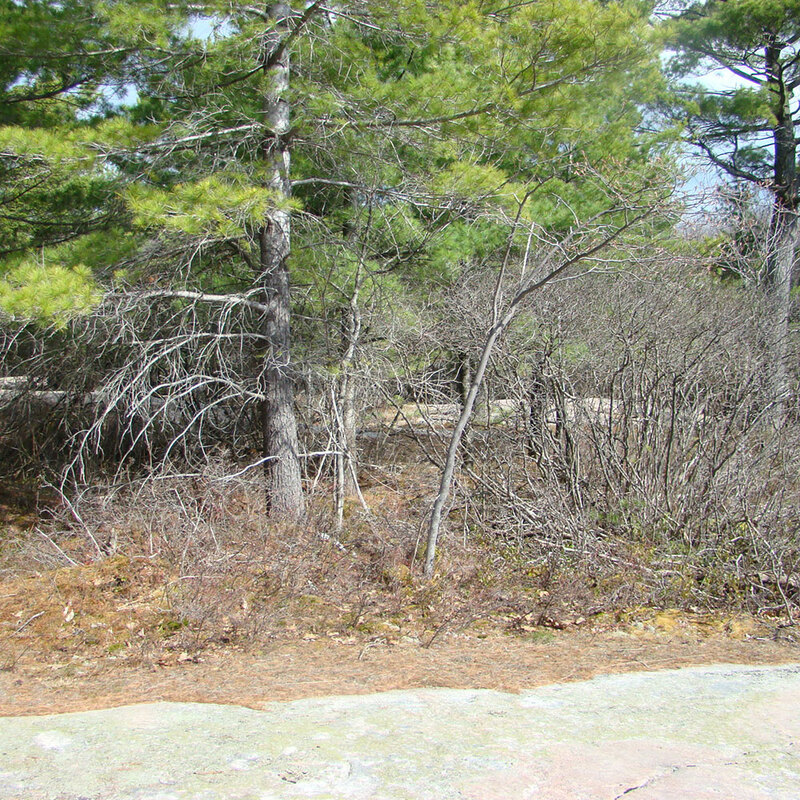 Within the Georgian Bay Biosphere Reserve we have many different types of forests, such as deciduous, mixed, and oak-pine. 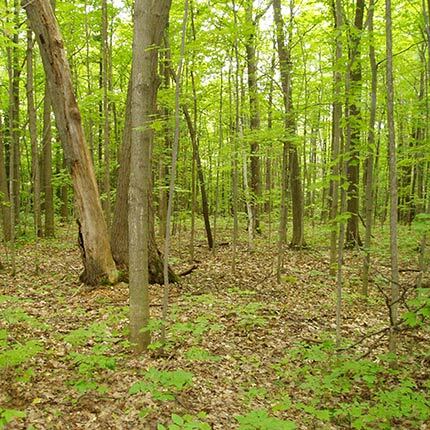 Since the objective of the screening tool is to avoid impacting species at risk habitat, we’re going to show you habitat features to avoid in forests (see the pictures below). Leaving these habitat features alone will likely avoid harm to species at risk habitat. Tall, stand alone tree and/or stick nest. Tree (dead or alive) that is hollow or has large holes/cavities in it. 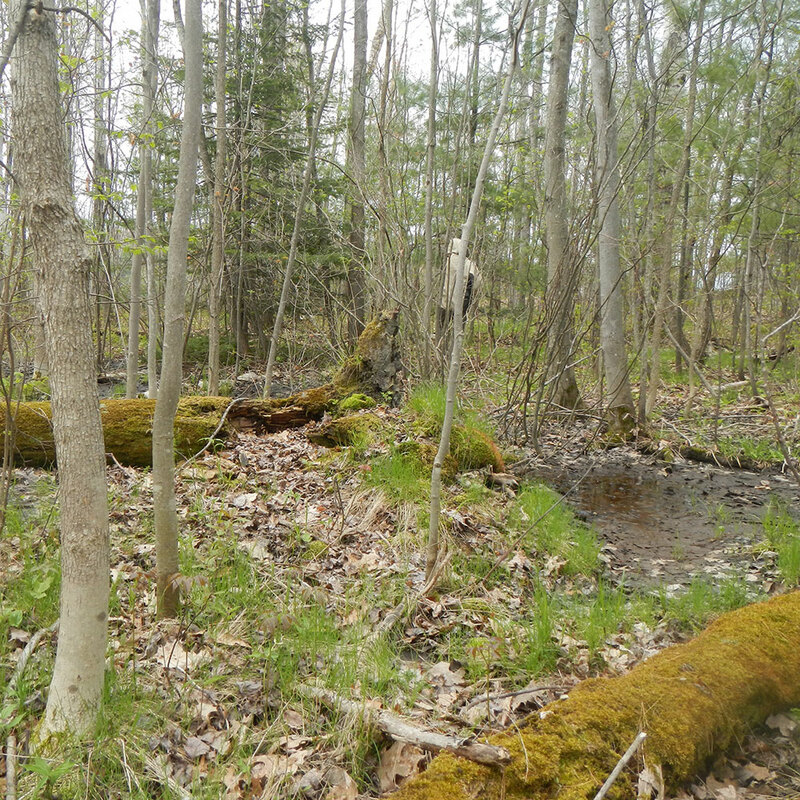 Low lying areas that become flooded in the spring/fall with coniferous trees, alder shrubs and sphagnum moss. Butternut trees are listed as Endangered and be found at the southern end of Georgian Bay. Learn how to identify this tree. If you suspect you have a Butternut tree, please contact the Parry Sound MNR office (705-746-4201). If species are encountered during the construction phase, they should be protected from harm and the sighting reported to the Georgian Bay Biosphere Reserve. In particular, turtles may be attracted to areas of new fill to lay eggs (typically June). If a nesting turtle is encountered, the area must be marked and protected with a 5 metre buffer. For further information on how to mark and protect the turtle nest, or if maintaining a 5 meter buffer around the nest for the duration on the incubation period will hinder construction, please contact the Parry Sound MNR office (705-746-4201). 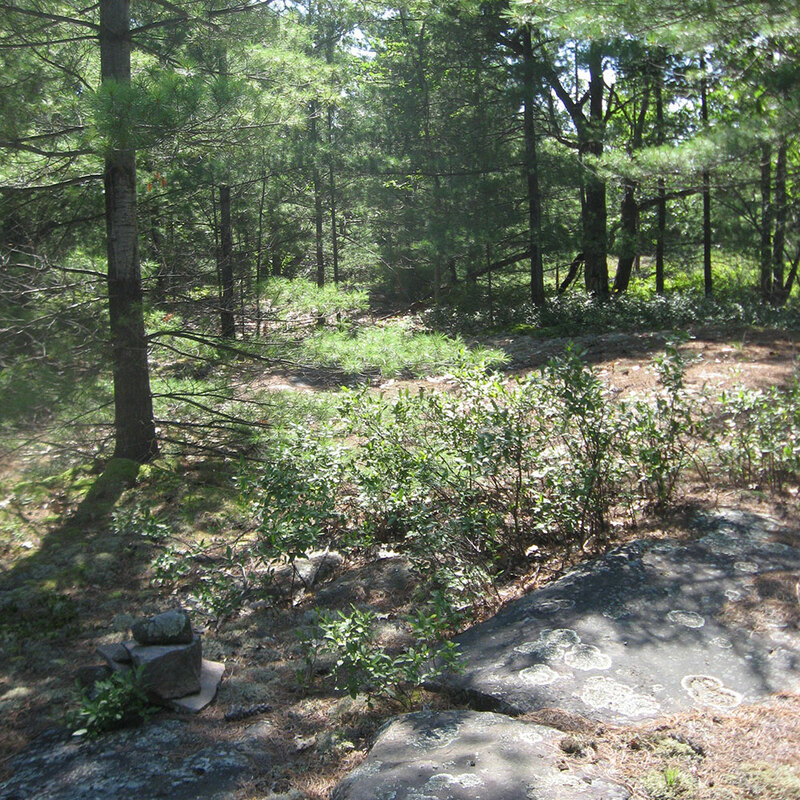 Rock barrens are often thought of as the perfect building location, since construction will minimize impacts to forests and vegetation. However, building footprints on rock barrens need to be carefully selected, since many species at risk use rock barrens for important life stages. For example, pregnant female Massasauga Rattlesnakes use rock barrens as a gestation site and Ontario’s only lizard, the Five-lined Skink, relies on a network of plate-sized rocks to avoid predators and regulate their body temperatures. 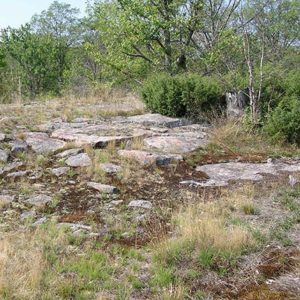 Since the objective of the screening tool is to avoid impacting species at risk habitat, we’re going to show you habitat features to avoid in rock barrens (see the photos below). 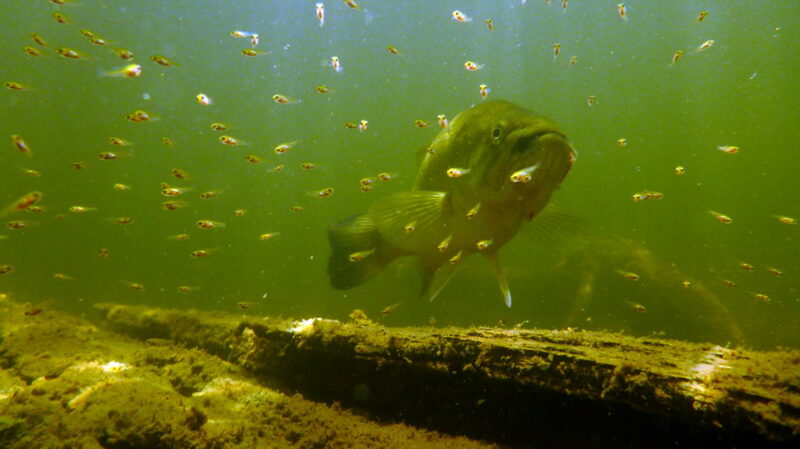 Leaving these habitat features alone will likely avoid harm to species at risk habitat. Table rock – roughly 30 cm thick by 1 x 1.5 m wide. As shown in the picture, table rocks usually have other rocks adjacent to it and a hole/cavity underneath. Also, table rocks are typically exposed to direct sunlight and have grasses or shrubs on several sides. 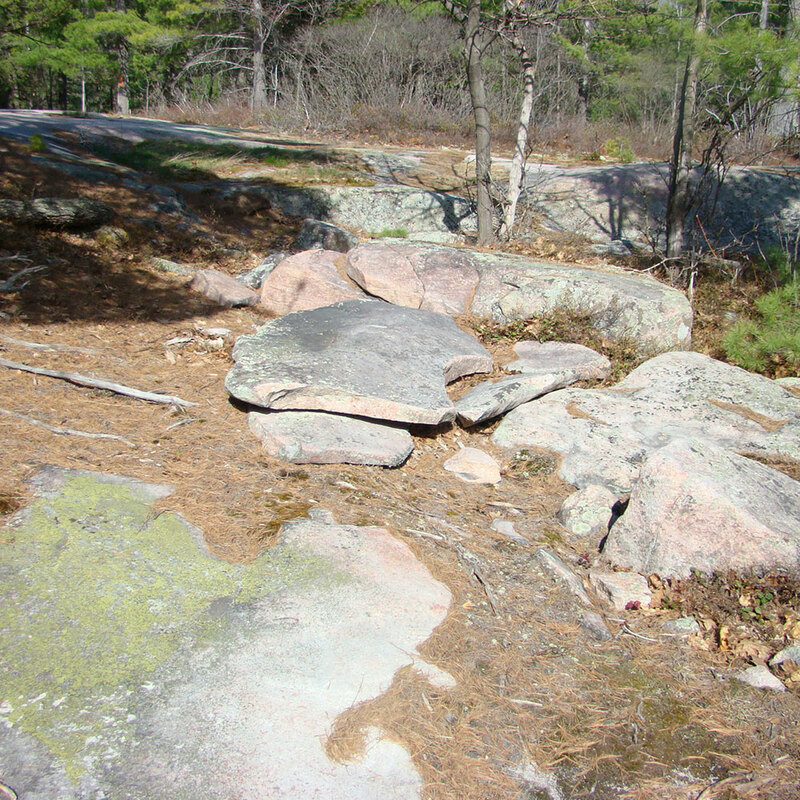 Minimize disturbance to table or cover rocks found on the rock barren. Blasting mats may be necessary in order to avoid damage to the surrounding rock structures. 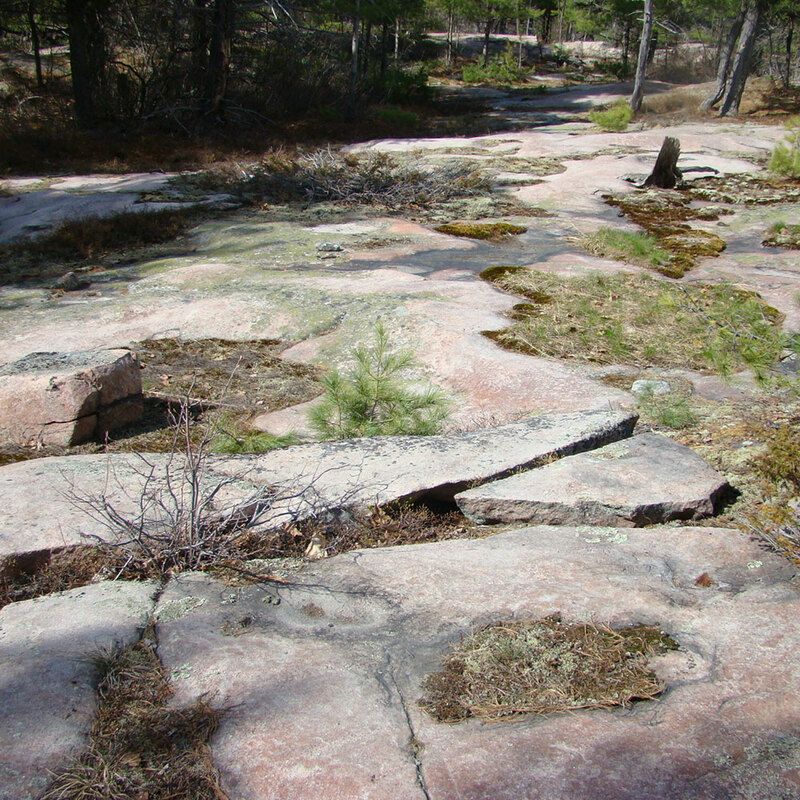 In Georgian Bay, rock crevices are commonly used by Eastern Fox snakes as oviposition sites (i.e. egg laying sites). Fox snakes lay their eggs in early July and they typically hatch by early September. These rock crevices often contain small pockets of soil and therefore may also attract nesting turtles. If eggs are discovered, the area must be marked and protected with a 5 metre buffer. For further information on how to mark and protect the nest, please contact the Parry Sound MNR office (705-746-4201). 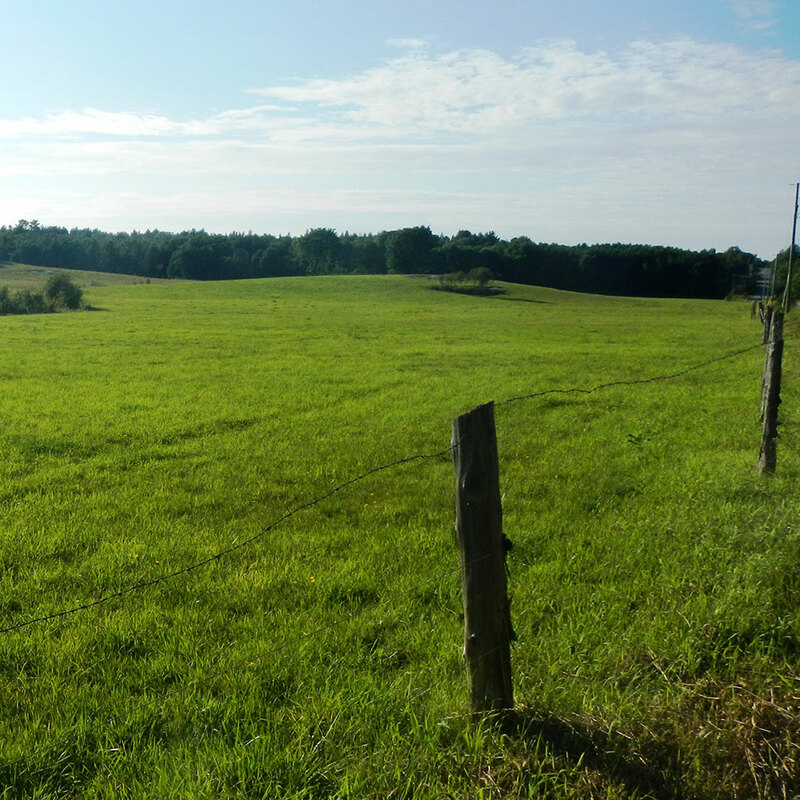 Within the Georgian Bay Biosphere Reserve, this habitat type is typically large old fields and meadows, tall grasslands, and hayfields. This habitat is very important to two threatened bird species; the Bobolink and the Eastern Meadowlark. These birds have experienced serious population declines of roughly 70% over the past 40 years. Therefore it is important to protect their habitat and nesting sites. Unfortunately the nesting sites are hard to find since they’re located on the ground within tall grass. The best approach is to learn how to identify these species. Grasslands and fields located near Georgian Bay are also used by the Eastern Foxsnake as foraging habitat; where they go to hunt mice, voles, and other small animals. In addition, other snakes such as the Massasauga and Eastern Hog-nosed may forage in this type of habitat. To help protect nesting Bobolinks and Eastern Meadowlark, please delay cutting or disturbance in grassed fields until mid-July, which will allow nestlings time to fledge. If you suspect you have a Bobolink, Eastern Meadowlark, or at-risk snakes in a field/grassland, please contact the Parry Sound MNR office (705-746-4201) before conducting activities such as mowing. 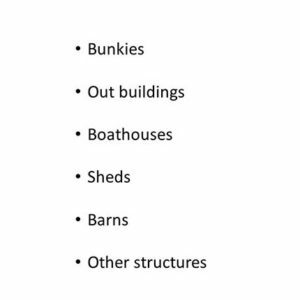 Examples of human altered sites include: buildings, boathouses, other structures, etc. 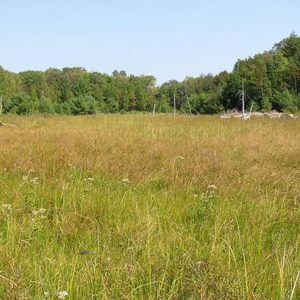 Since the objective of the screening tool is to avoid impacting species at risk habitat, we’re going to show you what species and their associated habitat features to avoid disturbing on human altered sites. In many cases, people wish to refurbish or replace older structures and/or buildings. If you find one of the species and/or habitat features listed below, please do not disturb the species while it is raising its young (generally June to September) and please contact the Parry Sound MNRF office (705-746-4201). Learn how to identify the species presented below. 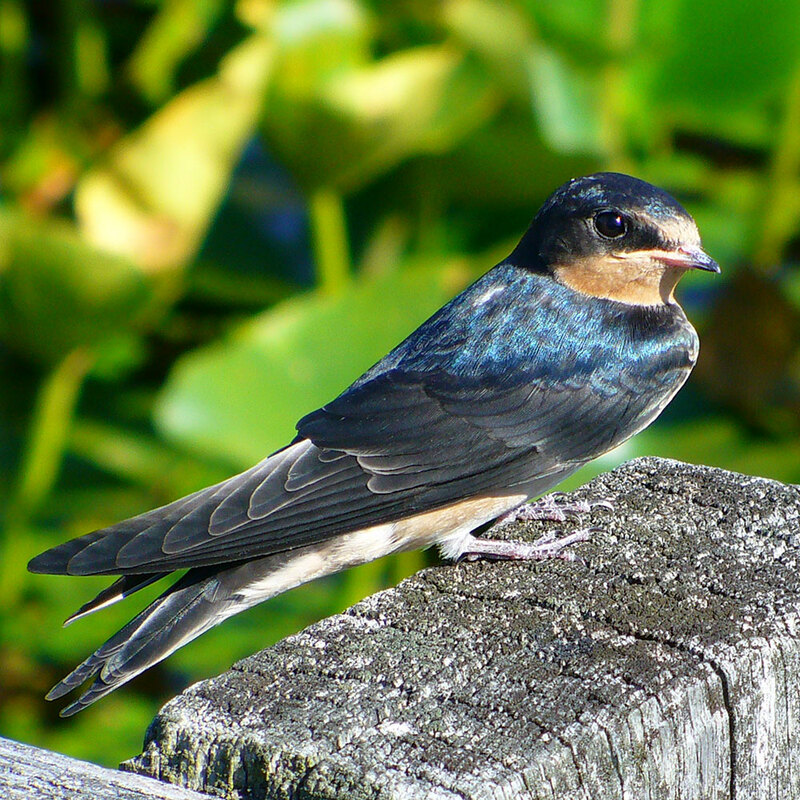 Barn Swallow (threatened species) – Nests near grasslands and other open areas, including urban parks, which have structures for nesting. Preferred sites include eaves, rafters, and cross beams of barns and sheds, as well as the undersides of bridges, wharfs, and large culverts. 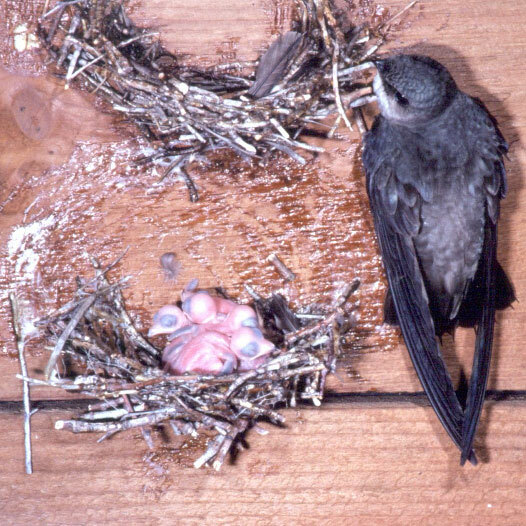 Chimney Swift (threatened species) – Nest in dark sheltered places, such as in chimneys (uncapped, unlined chimneys generally built pre-1960), barns, silos and large hollow trees. Nests tend to be within 1 km of water. 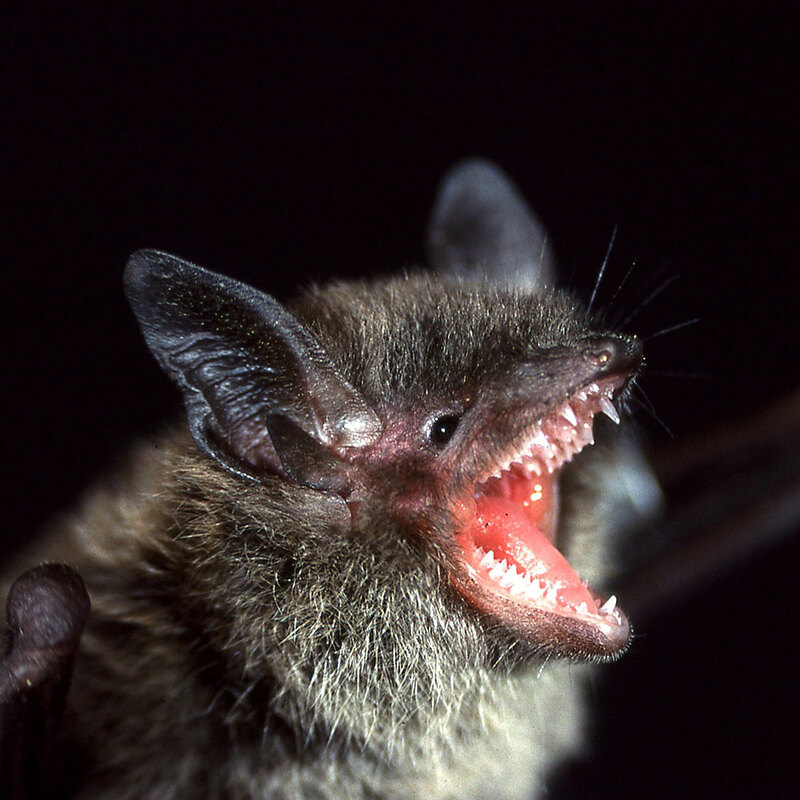 Little Brown Myotis (endangered species) – These bats often select attics, abandoned buildings and barns for summer colonies where they can raise their young. Bats can squeeze through very tiny spaces (as small as six millimetres across) and this is how they access many roosting areas. This bat is active from roughly March to October. If species are encountered during the construction phase, they should be protected from harm and the sighting reported to the Georgian Bay Biosphere Reserve. In particular, turtles may be attracted to areas of new fill to lay eggs (typically June). If a nesting turtle is encountered, the area must be marked and protected with a 5 metre buffer. For further information on how to mark and protect the turtle nest, or if maintaining a 5 meter buffer around the nest for the duration on the incubation period will hinder construction, please contact the Parry Sound MNRF office (705-746-4201).